In an interview on the 4 Corners program, The Battle For Syria, on 4 October 2012, Australian Foreign Minister Bob Carr said to Kerry O'Brien, "... perhaps an assassination ... is what is required ... ."
Carr's support for the assassination of Syrian President Bashar al-Assad is consistent with allegations that for 40 years he was an agent of the United States Government within the Australian Labor Party. His relationship with the CIA is the subject of Bob Carr: Washington's man in Australia in the Melbourne Age of 8 April 2013 and the article, by Murray Hunter, Is Bob Carr a spy? of 11 April 2013 in the Independent Australian, which cites evidence from the Age article and which we republish below. The US, which Carr uncritically supports, has used assassins, and worse, against the people of Korea, Vietnam, Chile, Argentina, Nicaragua, El Salvador, Guatemala, Iraq, Afghanistan, Libya and now Syria. A number of its own Presidents including JFK and a number of popular American political leaders have also fallen to the bullets of assassins. See also: Assange slams Carr as a 'well-known liar' in the Sydney Morning Herald of 31 May 2013. Since 1990, Australia has participated in two illegal wars against Iraq.1 The Hawke Labor Government led Australia into the first war of 1991 whilst the Liberal/National Coalition Government of John Howard led Australia into the second war of 2003. In addition, Australia participated in the imposition of sanctions which have prevented vitally needed food and medicine from reaching the people of that devastated country. It is now well known that the pretexts used to launch these wars, including the Kuwaiti Incubator babies story and the claim that Iraq had Weapons of Mass Destruction (WMDs) were lies. According to one estimate, 3.3 million Iraqis, including 750,000 children consequently died. To escape death through war, disease or starvation, hundreds of thousands of Iraqis fled. 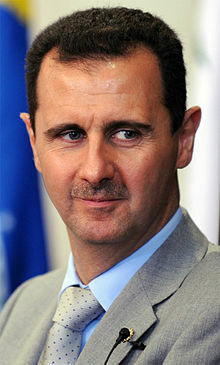 According to Wikipedia, 1,300,000 fled to Syria. No aid has ever been sent by Australia to help Syria deal with the consequences of Australia's shameful past actions. 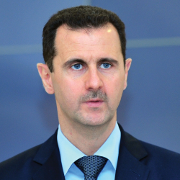 Instead, on 27 May 2012, Australia's foreign Minister, Bob Carr, expelled the Syrian ambassador and tightened Australian sanctions against Syria supposedly in reprisal for the demonstrably false claim that the Assad Government had masssacred its own supporters at Houla on 25 May. Prior to that on 4 October 2012, in an interview on the 4 Corners program, The Battle For Syria, Bob Carr said to Kerry O'Brien, "... perhaps an assassination ... is what is required ... ."
Carr's support for the assassination of the Syrian President seems consistent with his alleged 40 year record of being an agent of the United States Government within the Australian Labor Party . The US, which Carr uncritically supports, has used assassins against the people of Korea, Vietnam, Chile, Argentina, Nicaragua, El Salvador, Guatemala, Iraq, Afghanistan, Libya and now Syria. One of its own Presidents and a number of popular American political leaders have also fallen to the bullets of assassins. Carr's record has been documented in the Age article Bob Carr: Washington's man in Australia of 8 April 2013 by Phillip Dorling and by the Independent Australian article Is Bob Carr a spy? of 11 April 2013 included below. The above introduction was written by Geoffrey Taylor for candobetter.net. Is Bob Carr a spy? The Age exposes the Australian foreign minister as an "agent" under US influence; Murray Hunter asks -- is U.S. influence in Australian politics destroying policy objectivity? 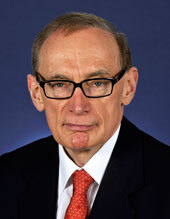 Foreign Minister Bob Carr (image courtesy ABC). JUST AROUND a week ago in Beijing, Australia's Foreign Minister Bob Carr entered the US-Korea conflict by trying to persuade the Chinese State Councilor Yang Jiechi to adopt sanctions against North Korea. On Monday (8 April), an investigative journalist from The Age, after going through 11,000 cables from the U.S. embassy in Canberra and consulates in Sydney and Melbourne, leaked by US Army Private Bradley Manning and published by WikiLeaks, found that the current Australian Foreign Minister Bob Carr had been briefing the US embassy since the 1970s on both the internal decision making of the Australian Government during the Whitlam Labor Government (1972-75) and internal workings of the Australian Labor Party (ALP). Bob Carr has been Australia's foreign minister for 12 months, replacing Kevin Rudd, who resigned after challenging Julia Gillard for the prime ministership. Carr has been involved in the Australian Labor Party for more than 40 years and was New South Wales premier from 1995-2005. Carr began his relationship with US embassy officials in the mid 1970s, when he was president of Young Labor and education officer of the NSW Labor Council. According to The Age investigative report Philip Dorling he would regularly brief the US Consul General over labour issues and the prospects of the Labor Government in Canberra. From the information gathered from Carr and also NSW Labor President John Ducker, intelligence reports on Australian politics and labour issues would be sent onto Washington. Leaked US cables to WikiLeaks also indicated that the former Labor Senator Mark Arbib was also a "protected" US embassy source passing on information and commentary on Australian politics. Bob Carr is very well known for his staunch support for the Australian-US alliance as an non-negotiable pillar of Australian foreign policy and often dismisses critics as being in "emotional silly expression lacking in any substance and characteristic of the silly leftwing fringe of the ALP". With such rigid advice to the prime minister and cabinet at a time where many academics and commentators like Professor Hugh White of the Australian National University are calling for a re-appraisal of this alliance and much more strategic engagement with China, it is very difficult to see how the Australian Government's pending 2013 Defense White Paper will signal any major shifts in policy on this matter. At the very least, hanging on to the Australian-US alliance without any objective appraisal and redefinition may not serve the country's strategy interests in the Asia-Pacific Region well if the U.S. continues a competitive stance against China. These revelations add to past suspicions by many in the labour movement about members of the party and government (when Labor was in power) who have been involved in close relationships with U.S. officials. Labor suspicion of U.S. intelligence operating in Australia mainly stems from the election of the reformist and nationalistic Whitlam Labor Government in 1972, after 23 years in opposition. Whitlam immediately pulled Australia out of the Vietnam conflict, recognized the Peoples' Republic of China, campaigned for a nuclear free Indian Ocean, spoke up for Palestinian rights in the United Nations, and opposed French nuclear testing in the Pacific. In 1973, the then Attorney General of Australia Lionel Murphy led a raid on the Australian Security Intelligence Organization (ASIO), the equivalent to the U.S. CIA, over concern with the organisation's involvement with the training of fascist Croatian groups, and the launching of terrorist operations from Australian soil. According to the Hope Commission back in 1977, ASIO was handing over to the CIA information on Australian opposition politicians and kept files on all ALP members. The Australian Secret Intelligence Service (ASIS) was assisting the CIA in undertaking clandestine operations in Cambodia and Chile, even though Australia was officially neutral in Cambodia and supported the Government of Salvador Allende in Chile, without the knowledge of the Australian Government. Many felt that when the Whitlam Government took measures to control the operations of the US Naval Communications Station on the North-West Cape of Western Australia, the Defence Signals Directorate in Melbourne, the Joint Defense research facility at Pine Gap and Nurrunger in South Australia, that the U.S. became vitally concerned. After Whitlam discovered that ASIO and ASIS had secretly assisted the Indonesian invasion of East Timor in 1975, he dismissed the heads of both organizations. Whitlam then hinted that he may not renew the Pine Gap agreement with the U.S. due for signing on 9th December 1975, which would have severely dented U.S. intelligence gathering ability. Labor mythology believes that the U.S. ambassador to Australia at the time, Marshall Green, had a hand in the dismissal of the Whitlam Government in November 1975 by the then Governor General Sir John Kerr. Of course, Kerr's time working for a closely aligned Australian intelligence organization to the U.S. OSS, the forerunner of the CIA, has always added spice to such conspiracy theories. During the first week after the dismissal of the Labor Government, the army was on stand-by at their barracks in case there were mass demonstrations. However, it was the Australian Council of Trade Unions then president Bob Hawke who summoned the labour movement to be calm. US diplomatic cables also implicate the former prime minister, saying he regularly conferred with the U.S. Consulate in Melbourne during his ACTU years. It was generally believed that the Labor Attaché at the U.S. embassy in Canberra was in reality the CIA station chief (McKnight, D., "Labor and the Quiet Americans", The Age, February 20, 2003, p15). The future Hawke Government, elected in 1984, went on to implement many pro-U.S. initiatives, and prevented public disclosure of documents relating to the Nugan Hand Bank during his term as Prime Minister, which were believed to implicate the CIA with drug trafficking and organized crime. This is the first time that leaked U.S. documents have confirmed what many believe to be the truth surrounding U.S. infiltration within the Australian Labor Party. The issue is likely to be very quickly dismissed in Australia by the argument that the U.S. is an ally. However, within these documents there is some proof and support that the U.S. has meddled in the affairs of the Australian union movement and political parties for many years. What is even more astounding is that some Labor politicians showed disloyalty to their party to a foreign power during the Whitlam years. Bob Carr has been forthright in exposing past politicians as members of the Communist Party of Australia, so should take the accusations against him seriously, either stepping aside for the duration of an inquiry or resigning outright. David Combe's relationship with a Soviet diplomat Valery Ivanov back in 1984 led to swift action on the part of the Hawke Government at the time. In the interests of transparency and sovereignty, the Australian Federal Police and ASIO should conduct an inquiry. Assange: Carr's ignorance "only eclipsed by his arrogance". On 31 May it was reported, in the Sydney Morning Herald article Assange slams Carr as a 'well-known liar', that, from the Ecuadorean Embassy in London in which he has has gained refuge, WikiLeaks founder Julian Assange has called Australian Foreign Minister Bob Carr a "well-known liar" whose "ignorance is only eclipsed by his arrogance". Assange's remarks were in response to Bob Carr's previous assertion that he was fantasizing to think that the US intended to extradite him from Sweden to face conspiracy charges over information provided to Wikileaks by Bradley Manning. Julian Assange said that he had never claimed there was a CIA conspiracy, but said the US Justice Department was still engaged in a live criminal investigation into WikiLeaks "of unprecedented scale and nature". He added that "Bob Carr is a well-known liar in Australian politics. The man's ignorance is only eclipsed by his arrogance." Assange accused Bob Carr of being a "US embassy informer" in his own right as a union official during the 1970s, according to diplomatic cables obtained and published by WikiLeaks. This is further confirmed by the Melbourne Age article Bob Carr: Washington's man in Australia of 8 April 2013 and the included article Is Bob Carr a spy? republished from the Independent Australian of 11 April 2013. SO Foreign Affairs Minister Bob Carr is concerned about events in Syria and is hinting that we should get involved. How surprising. He has failed to assist Julian Assange in England; he has failed to help Schapelle Corby in Indonesia – in fact he has not done much at all on the international scene. Mind you, he does say all the right things. Now he appears to be softening up the government with a view to tagging along on the skirts of the American warmongers – and dragging us into this conflict which has nothing to do with us. I suggest you sack him and reinstate either Stephen Smith or Kevin Rudd.